Officials at the John F. Kennedy Center for the Performing Arts have raised more than $135 million for renovations set to begin next month. The Kennedy Center will start getting a makeover this month. Renovations will include a new parking system, upgrades to broadcasting technology and an addition to the south side of the building. Armed with nearly $136 million after a fundraising campaign, the center’s officials say the updates will expand the scope of the cultural center in Foggy Bottom. Steven Holl Architects has been chosen to design and plan the expansion, which will leave the Kennedy Center fully operational through 2018, the targeted completion year for the project. 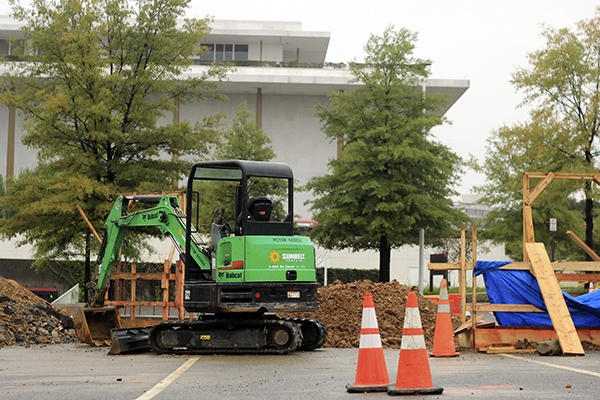 Amanda Hunter, a spokeswoman at the Kennedy Center, said officials have already taking steps on the property to prepare for demolition and construction. The center expanded its renovation plans and fundraising goals after surpassing its original fundraising projection, Hunter said. Officials hope to raise a total of $175 million for the project, which hit the $136 million mark about two weeks ago. As the donations exceeded the original goal, those items that were needed to enhance the use of the new facility were taken off of the “wish list” and added to a list of possibilities, Hunter said. Hunter cited increased “design and construction costs due to the move of the river pavilion” as one reason behind raising the goal to $175 million. In May, Kennedy Center officials abandoned plans to build a floating performance pavilion on the Potomac River after concerns from environmental groups and the boating community delayed approval for the project, The Washington Post reported. Hunter said the pavilion will now be built on the south side of the building. The center’s Chairman David Rubenstein donated $50 million to start the campaign two years ago. Rubenstein is the chairman of Duke University’s Board of Trustees and CEO of the private equity firm Carlyle Group. The new additions will be located on the exterior of the southern end of the complex with outdoor areas and multipurpose buildings separate from the main structure, according to Holl’s website. Thirty five gingko trees will also be planted next to a still-to-be-constructed “infinity pool,” a nod to John F. Kennedy’s position as the 35th president. Donors behind the fundraising push include Boeing, candy company heiress Jacqueline Badger Mars and New York financial guru Stephen Schwarzman and his wife, Christine. William Kennedy Smith, a commissioner on the Foggy Bottom and West End Advisory Neighborhood Commission and nephew of John F. Kennedy, said in an interview he was satisfied with the Kennedy Center’s efforts to communicate with local communities that will be affected by the construction and changes, especially in deciding not to construct the floating performance pavilion, a decision he said was due in part to input from the ANC and other local residents. “I think we gave them some concrete input,” Smith said, adding that representatives from the Kennedy Center have been attending ANC meetings, most recently on Sept. 16, and providing updates to the group.